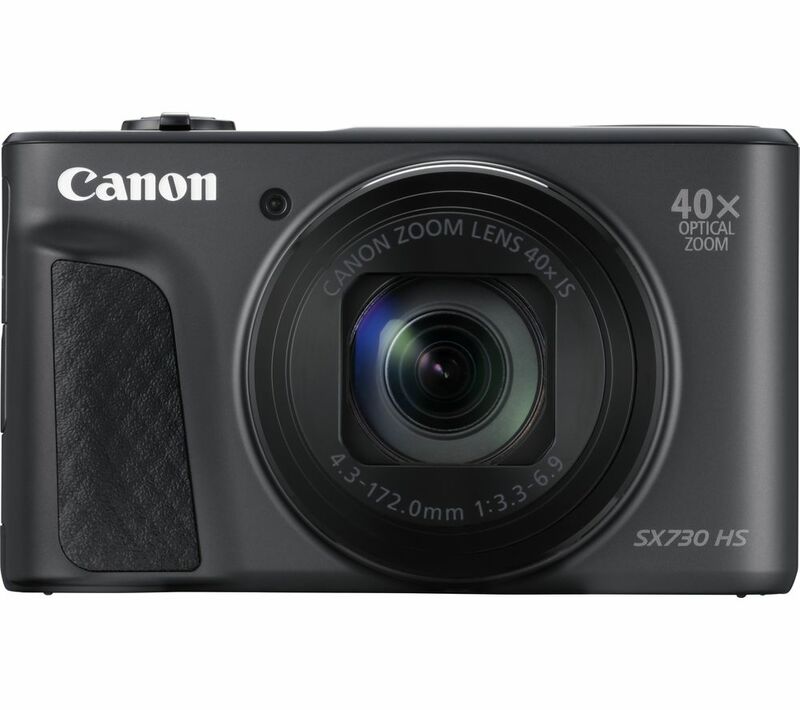 Get in close even when subjects are far away with the powerful 40 x optical zoom on the Canon PowerShot SX730 HS Superzoom Compact Camera. 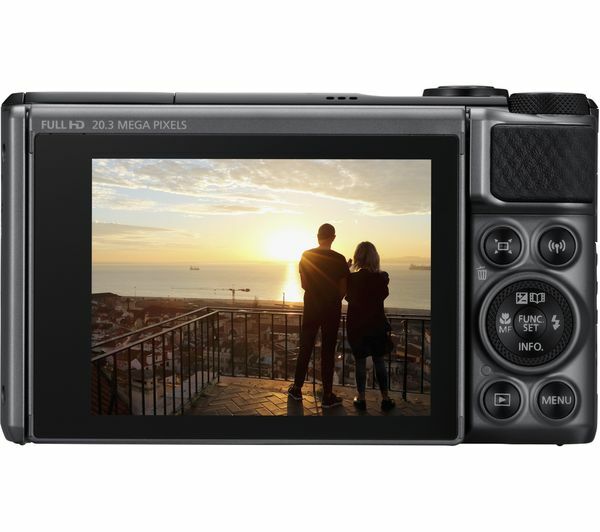 The intelligent image stabiliser helps keep your shots steady at extreme zoom, so images look sharp whether you're on a safari or with the kids on sports day. 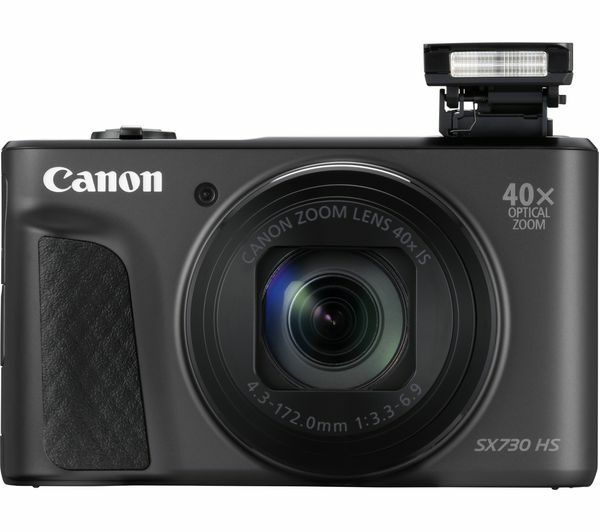 Designed with travel in mind, the PowerShot SX730 HS has a pocket-friendly design for taking with you on the go – it's small and light enough to be slipped into your hand luggage. Capturing 20.3 megapixel resolution images, you can recreate your favourite shots as poster prints. 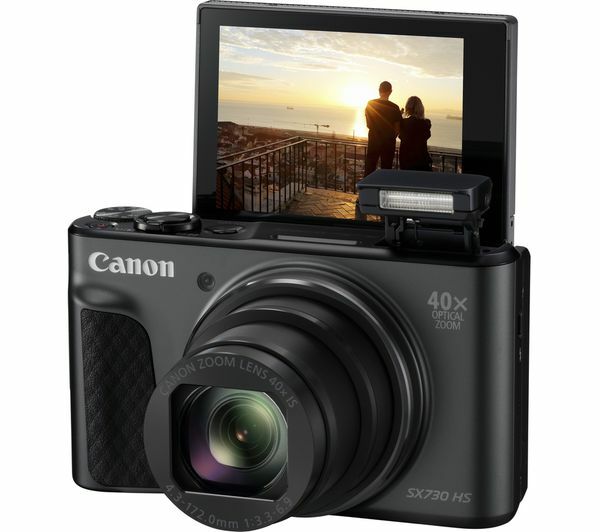 The tiltable LCD screen makes it easy to capturing shots from unique angles or shooting selfies. The versatility of the SX730 HS camera means it doesn't just capture great images – you can also record movies in Full HD. Dynamic image stabilisation means your recordings will be steady, even at full zoom, and in 60 fps they look smooth when you watch them back with friends and family. WiFi, Bluetooth, and NFC connectivity make it easy to share, download, and backup your pictures. You can download the Cannon Camera Connect app to access your photos instantly on your phone and share via social media and add GPS data to your images. Make sure you choose the right memory card for your camera, as this determines how quickly your images are saved and uploaded. A high-performance memory card will help you get the best out of your shots, especially if you're shooting in high resolution or recording HD videos. 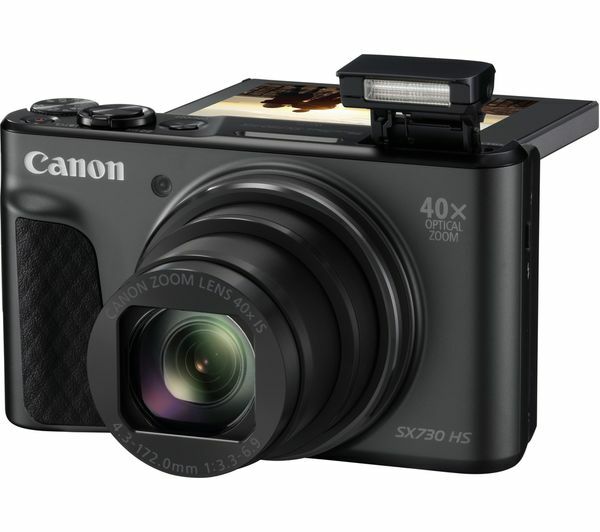 The Canon SX730 is compatible with SD, SDHC, and SDXC cards.